Orchids add exotic and elegant beauty to an outdoor landscape. Learn how to properly select and care for your outdoor orchid. 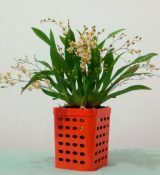 Is Your Orchid an Epiphyte?